You’ve got to know when to hold ’em; Texas Hold ’em that is! 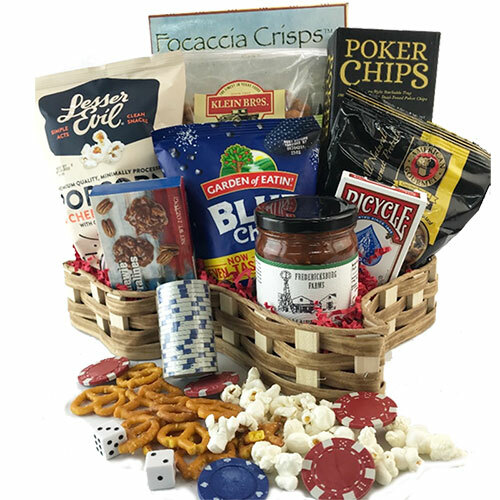 You wont go wrong with this outrageous Texas Hold em treat bustin at the seams with an awesome display of snacks, cards and poker chips. Its the Royal Flush of them all!